Gilgamesh and the Heroic Journey research papers illustrate the hero myth in the Epic of Gilgamesh. There is also a heroic journey motif in Gilgamesh research papers and this too is something that is a perennial motif in mythic literature. In Gilgamesh research papers, as Tigay notes, “Aware that man’s days are numbered, Gilgamesh sought to make an enduring name for himself by travelling with Enkidu to the Cedar Forest near Lebanon, conquering its divinely appointed guardian, the monstrous Humbaba…(4).” There is some similarity between this story and the story of Beowulf, composed perhaps three thousand years later. In Beowulf there is a great deal of reflection on the transience of human life and the hero, hearing of Grendel’s misdeeds, sets out on the “swan road (i.e. the sea, l. 200)” in order to perform the heroic deed of ridding the world of the monster. It is not made explicit in the Anglo-Saxon poem that Beowulf’s motive is to gain a measure of immortality by obtaining martial glory (he is more altruistic than that [see l.415-455]), but no one who reads the poem can fail to realize that the point of this episode is that Beowulf, in fact, does just that. The notion of gaining a psuedo-immortality through undertaking heroic journeys and doing heroic deeds has, of course, always been a staple in literature and mythology and remains so to this day. 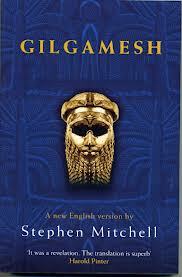 Gilgamesh and Religion research papers explain how the tale of Gilgamesh is an epic heroes journey. Hero - Hero research papers are on the concept of the heroic ideal in literature. Paper Masters writes custom research papers on Gilgamesh and the Heroic Journey and illustrate the hero myth in the Epic of Gilgamesh.